Offers a satisfying blend of history, lore & romance. Excellent research and brilliant writing. Perfect ten Award. Eliza Redgold is an author and ‘romantic academic’. Her natural pen name is based upon the old, Gaelic meaning of her name, Dr Elizabeth Reid Boyd. English folklore has it that if you help a fairy, you will be rewarded with red gold. She writes fiction as Eliza Redgold and non-fiction as Elizabeth Reid Boyd. Eliza Redgold’s bestselling historical fiction includes her Ladies of Legend trilogy, starting with NAKED: A Novel of Lady Godiva released internationally by St Martin’s Press, New York. Her historical romances are published by Harlequin Historical, London (Harper Collins). They include the Amazon Victorian romance and W.H. Smith historical romance bestseller Playing the Duke’s Mistress. They have been translated into multiple languages, including Italian, the language of love. Her new historical romance is The Scandalous Suffragette. Released in 2019 and celebrating 100 years of the women’s vote, it is the first Edwardian romance ever published by Harlequin Historical. Available now. Elizabeth Reid Boyd PhD is an author and academic in gender studies and love studies. She has written on Love Studies for The Conversation, you can read about her experience as a ‘romantic academic’ in The Guardian and her work on moral imagination has been published by the World Economic Forum. She contributed the Empowerment of Women entry to The Encyclopedia of Romance Fiction. Her latest non-fiction book out now from Skyhorse Publishing, New York is The Secrets of Mindful Beauty with her daughter Dr Jessica Moncrieff-Boyd. An international bestseller on Amazon, Kobo and iTunes, it shares revolutionary techniques in anti-aging and self-care that will change how you look and how you feel, by applying the beautiful practices of mindfulness. Dr Elizabeth Reid Boyd’s speciality is bringing long-lost lore to transform today. She is the author of the Spiritual Aristocracy series which introduces women to their Aristocratic Archetype. 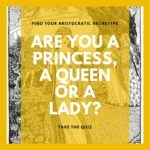 She loves to hear from readers (especially their Aristocratic Archetypes) so do take the Aristocratic Archetype Quiz to discover yours! Access your Aristocratic Archetype and harness your inner wisdom with centuries-old female lore. Eliza Redgold and Elizabeth Reid Boyd are both represented by the one and only Joelle Delbourgo Associates.